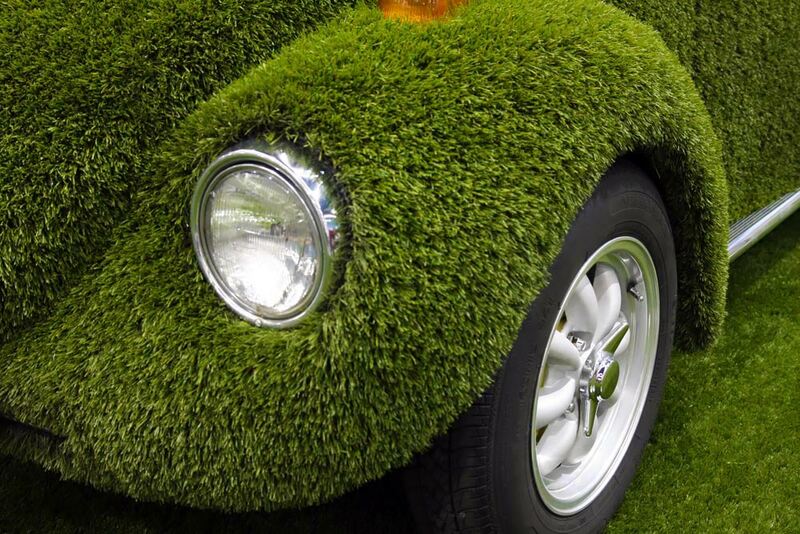 If there was an award for the most surprising container for plant material, a classic Volkswagen bug carpeted in grass would receive first place. This strangely amusing container on wheels is far from practical and over-the-top in whimsy. Mowing car grass is not appealing, yet the car is delightful. 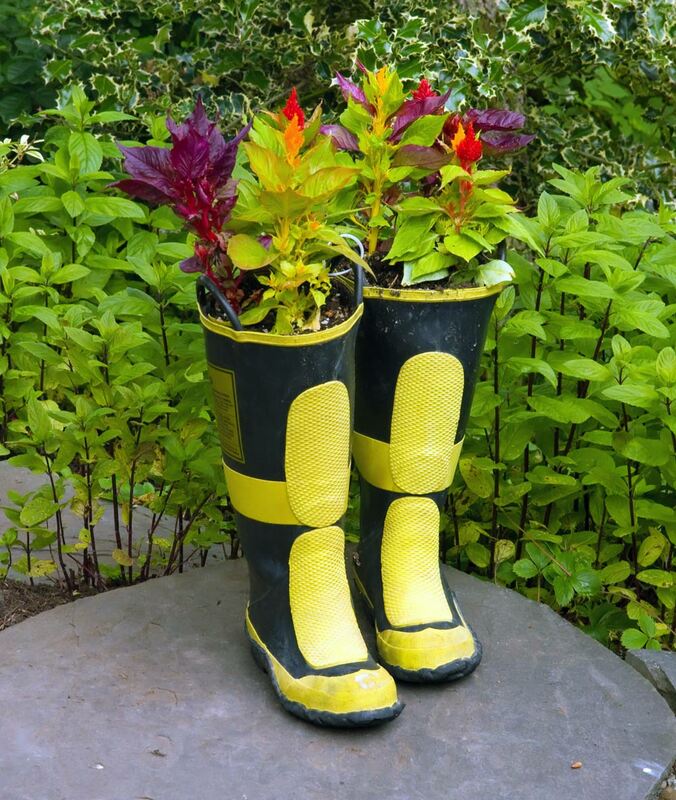 All it takes to repurpose something into a plant container is a little imagination, good drainage, a bit of soil and wonderful plants. Season with a dash of charm, a pinch of humor or an element of surprise — it’s a recipe for a charming display in the garden. 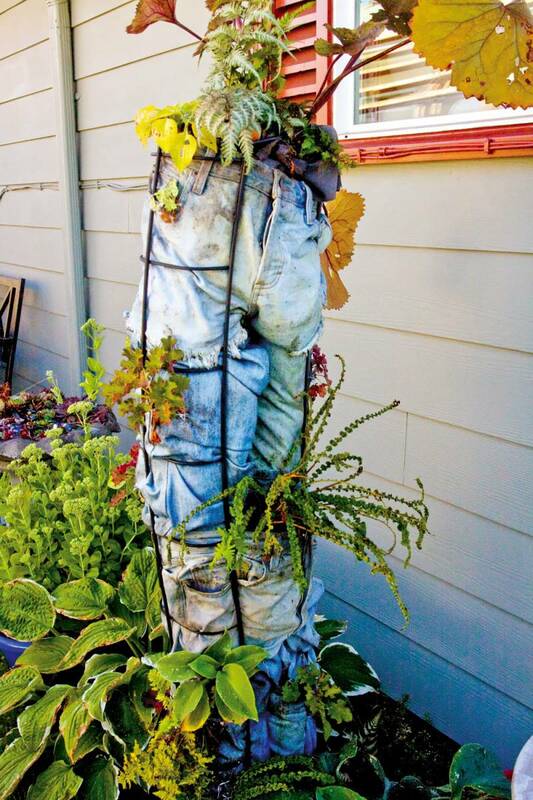 A bit of humor is seen in a pair of jeans stuffed with soil and overflowing with plants. 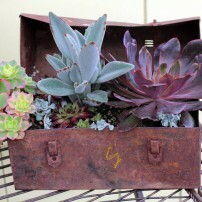 Charm comes packaged in a rusty toolbox occupied by tender succulents. 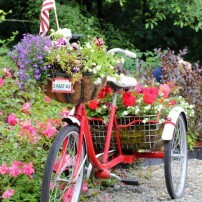 Amused surprise comes when someone pedals by on a tricycle overflowing with flowers. 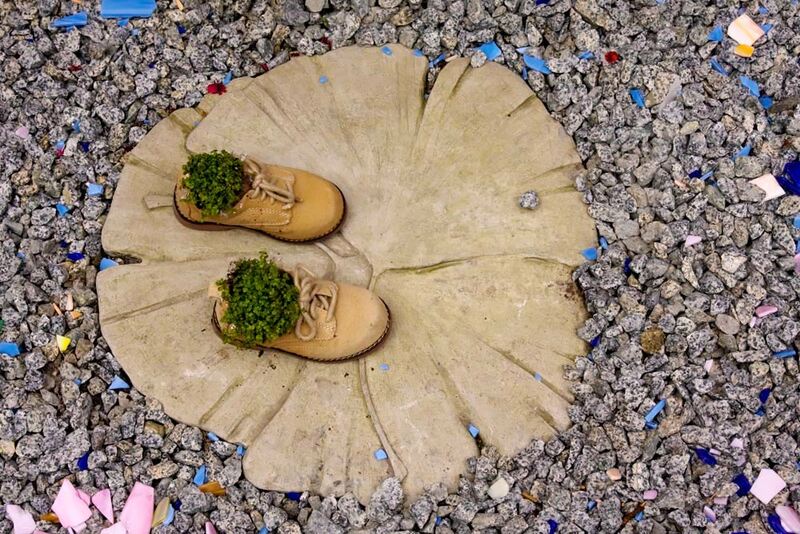 Repurposing objects to make a container for plants is not a new idea. 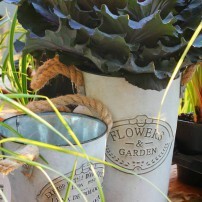 Gardeners have done it for so long with some items, we just think about them as planters, not repurposed ones. For instance, whiskey and wine barrels — when the brewing industries are done using them, the barrels are cut in half either crossways or lengthwise and made into planters. The barrels live out the rest of their lives holding precious plants — a repurposing idea that came many decades before we knew about recycling. 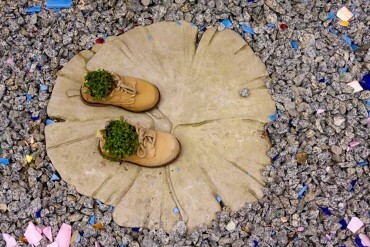 What could be more fun than filling baby’s first shoes with baby tears (Soleirolia soleirolii)? Plenty, so let’s not stop here! 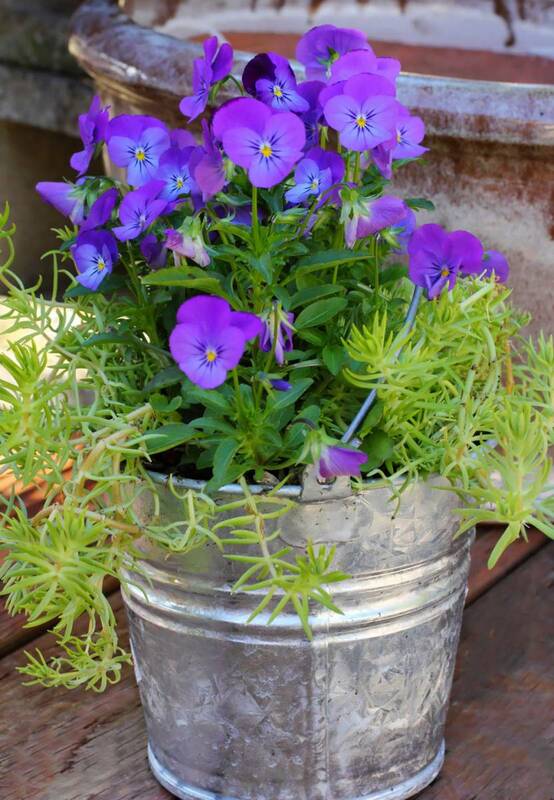 Who doesn’t remember a country garden scene with half-rusted, canned-food tins turned into containers filled with herbs, geraniums or cute little flowering annuals? 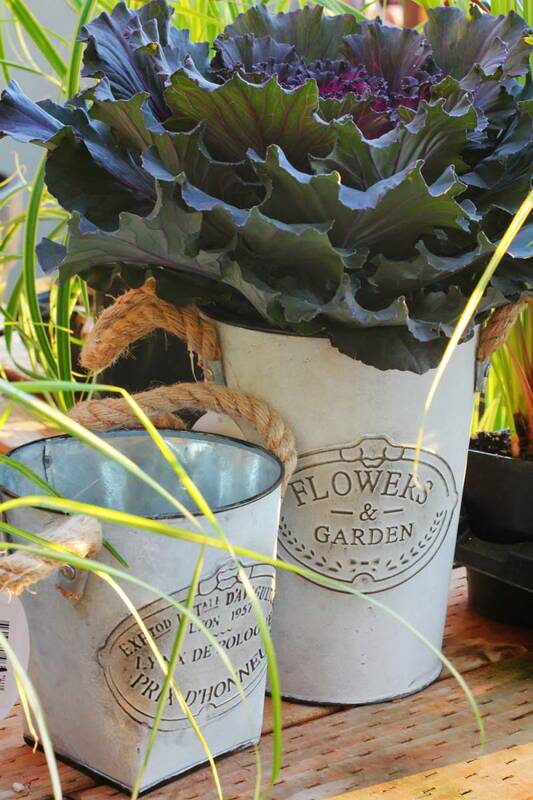 Old galvanized buckets and watering cans were often repurposed into beautiful containers; gardeners took the old and made it something new. It sometimes takes a bit of courage to buck the norm and see what happens when you unite a repurposed item with some flora. Imagination helps. Even then, sometimes no one else will understand your creation. However, don’t let what others think prevent you from experimenting with unusual material. Keep looking in your attic, at the local flea market or garage sales for something else that can be used creatively. 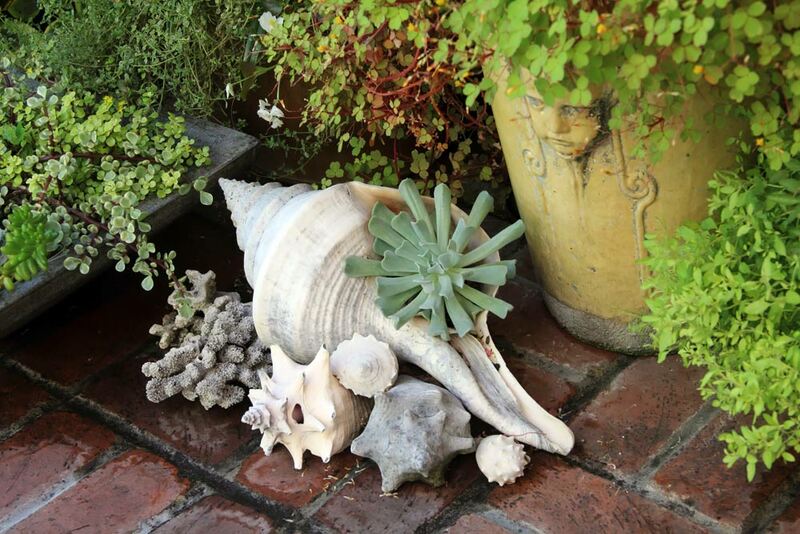 You can always hide it in a whimsical, secret corner of the garden — a place for your amusement. 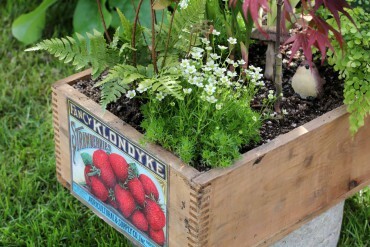 Wood boxes are fantastic containers for a variety of plant material. 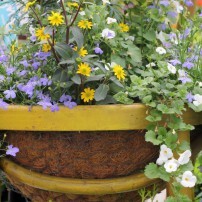 Fill them with hardy succulents for the long term or make a temporary, seasonal container every year with exuberant, brightly hued annuals. 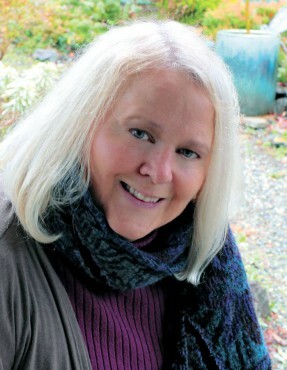 This wood box by Bainbridge Island resident Sue Lukins looks great with or without the product logo. You may have tucked something in a back closet or placed in the attic until you could find a use or sell at a garage sale. 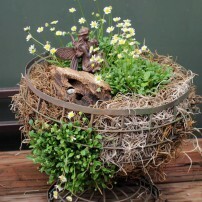 For instance, an old wicker laundry hamper would make an excellent planter for potatoes. All that’s necessary is to remove the top of the hamper and spray- paint the body any color — or leave the color the same. Pour a little soil into the bottom, plant the potatoes and as they grow, keep adding soil just to the bottom of the leaves until you reach the top of the hamper. Enjoy the plants until the end of the season. You won’t have a hamper full of dirty clothes — you’ll have a top-to-bottom container full of potatoes. Simply turn the container over and pour the harvest out. Made from real wicker or rattan, the hamper may last a few years. If it’s made from synthetic materials, a potato hamper could last many years and look great in the vegetable garden. 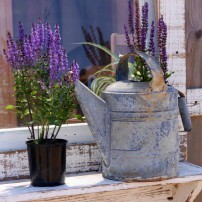 The best part about repurposing items for planting is having fun with it. Just make sure your containers can drain water away by drilling a hole in the bottom when necessary. 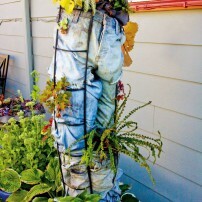 Is there anyone who can walk by a standing pair of jeans filled with soil and plants and not make a comment? To stand this tall without a body to hold them up, they needed staking. 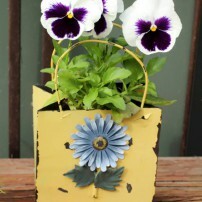 Do you have a tired old planter and lots of rope that sits on a workbench in a tangled mess? 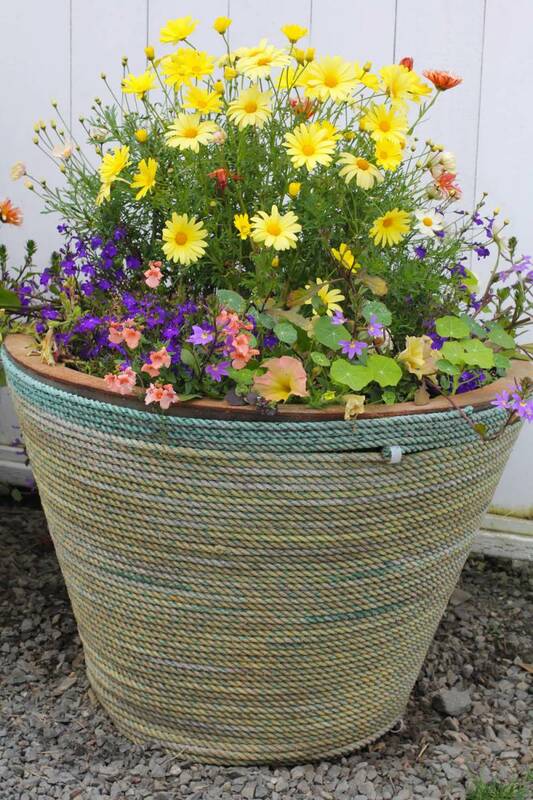 Untangle it and wind the rope around a pot to give it a textural new look for a tired old container, especially a plastic one. 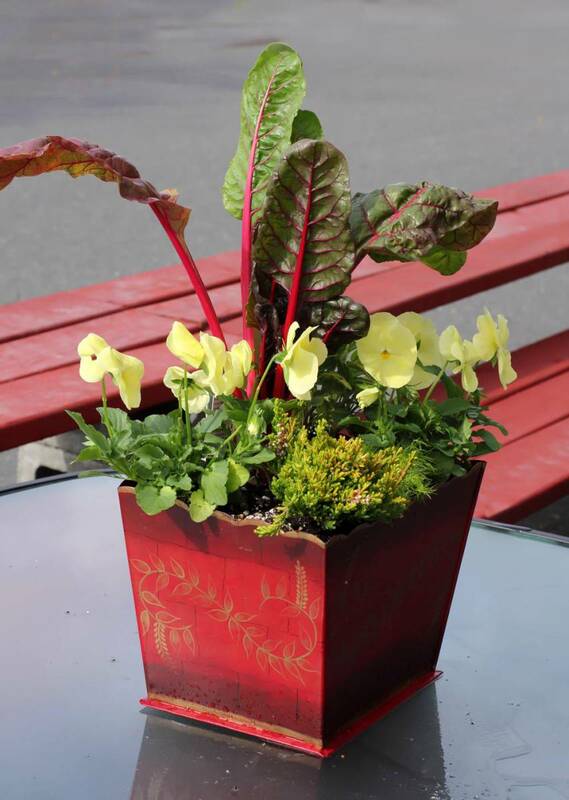 Half the fun of planting colorful tin containers is picking plant material that complements, contrasts or matches the tin. 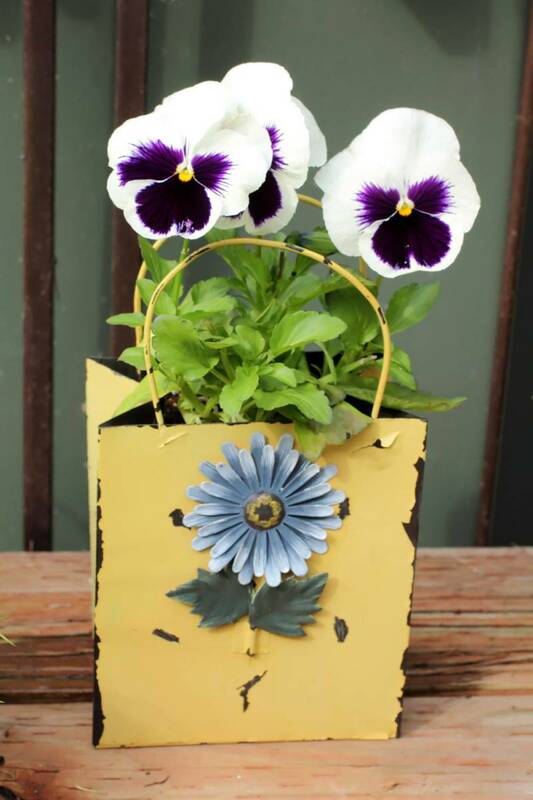 Expect that decorative tins will eventually rust and wood boxes will rot, but that shouldn’t keep you from experimenting with found items. Holey is good too. Any container with large holes on the side can be lined in coconut fiber, Spanish or sphagnum moss to keep soil from spilling out. 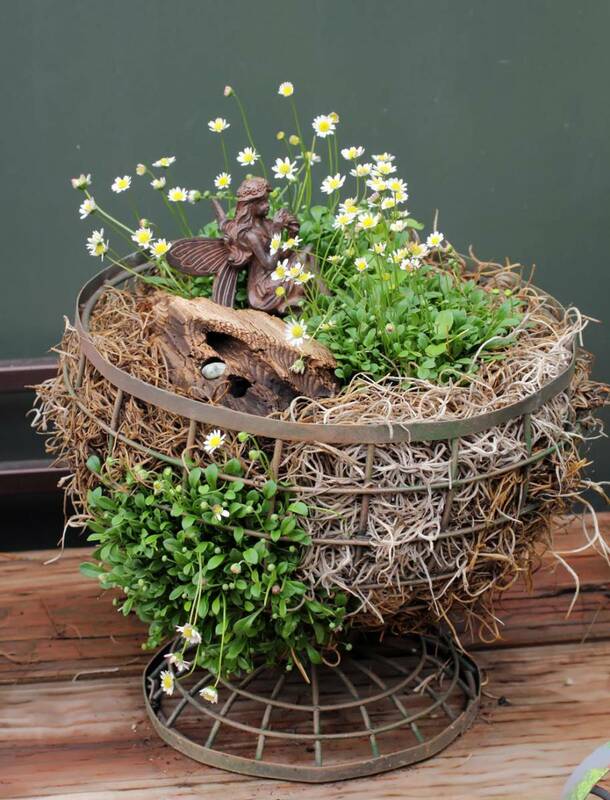 A piece of driftwood, a couple of miniature mat daisies (Bellium minutum) and Spanish moss made this pedestal wire bowl fit for a fairy. 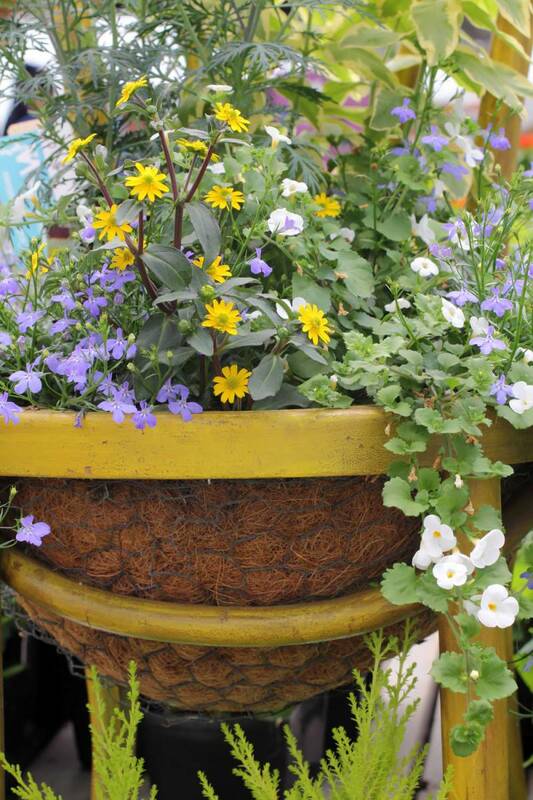 Sue Lukins took an old chair with a broken seat and gave it a new life holding plants. Chicken wire attached around the bottom forms a bowl. 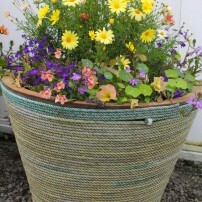 The wire, lined with coir and filled with soil, is planted with exuberant annuals in the seat. 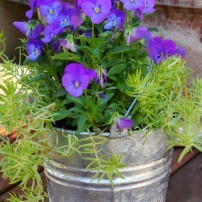 The author filled galvanized pails with violas and trailing sedums in late summer. 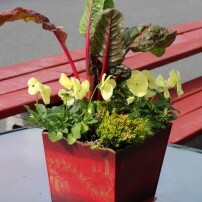 They make pleasant little table pots and smart hostess gifts for a garden party. 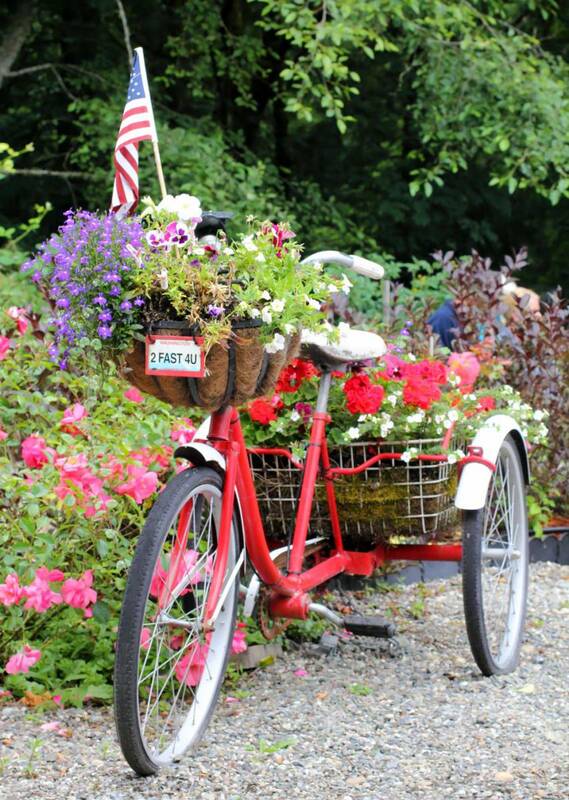 Sandy O’Brien from Gig Harbor turned her adult-sized tricycle into a flower-filled container, which means when she peddles on down the road, she brings her flowers with her. Decorative or plain buckets that hold harvested cut flowers also make fantastic planters for just about any smallish plant. This one was planted in fall with flowering kale. 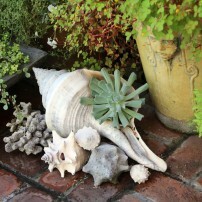 Succulents are a natural to plant in a large seashell and you don’t have to live on the beach to enjoy it in your garden. You’ve undoubtedly seen this classic in a garden before. 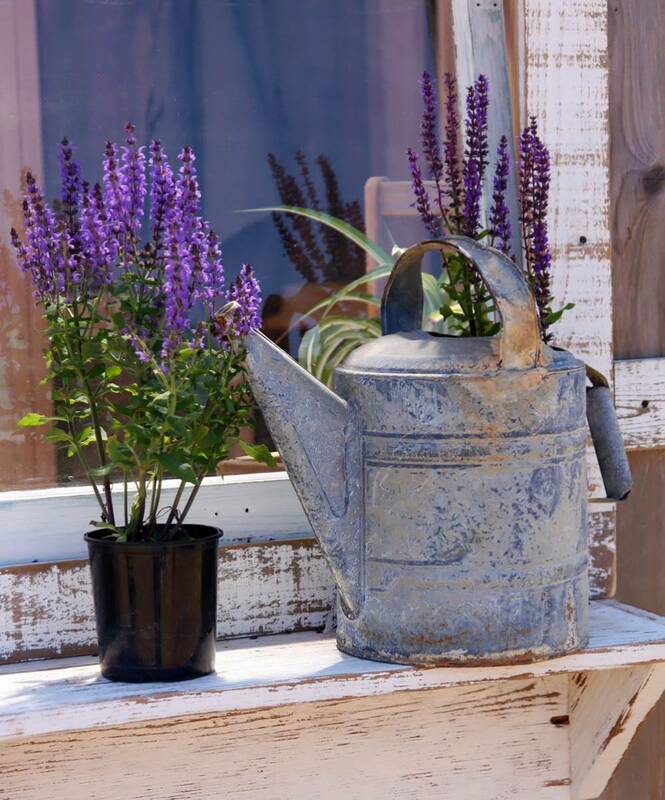 A wonderful, old, galvanized watering can turned into a planter or vase is classic vintage cottage garden décor and never boring. 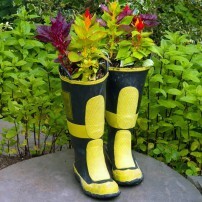 Someone literally fills someone’s shoes — a pair of leaky rain boots turns into a planter for annuals. 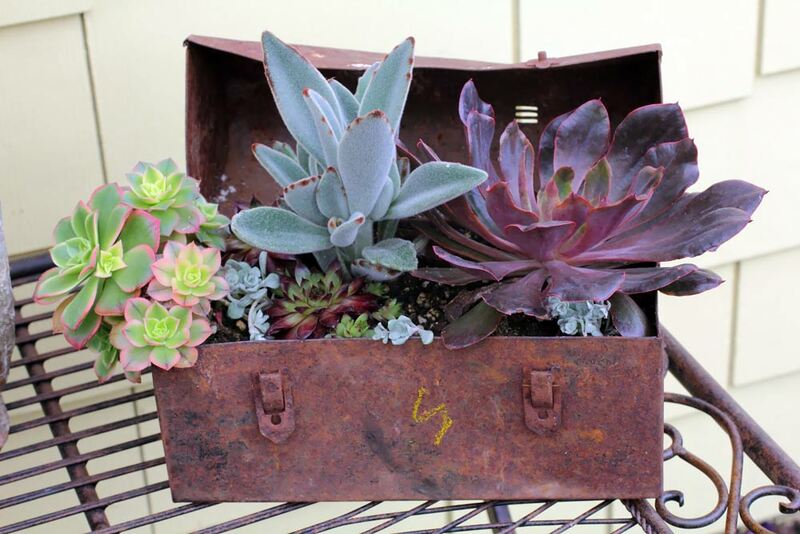 Rust may never sleep but that’s a good thing when it comes to this delightful rusty tool box planted with tender succulents by Sue Lukins.